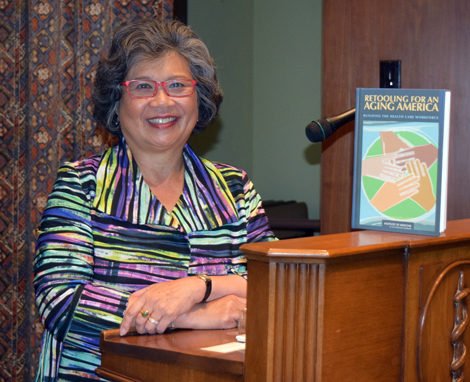 To meet the needs of our growing senior population, communities should enlist and train family caregivers, non-medical professionals and others who touch the lives of seniors, said geriatrics expert Jennie Chin Hansen. The former CEO of the American Geriatrics Society and former president of AARP highlighted efforts to empower entry level medical professionals to move up career ladders and cited new technologies that could help close gaps in care. Chin Hansen’s talk March 30 was part of the work of the Regional Consortium on Health Care Workforce. Watch videos excerpts of her talk and read more here. 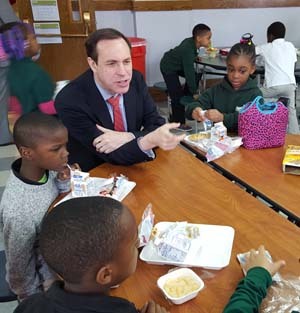 State Health Commissioner Dr. Howard Zucker visited Rochester’s School No. 10, Walter Cooper Academy, April 5 to view the results of FLHSA’s Healthi Kids Coalition’s work to rescue recess in Rochester city schools. "Mandatory recess programs like the one at School 10 promote active lifestyles that helps children maintain a healthy weight and avoid chronic illness both now and in the future," said Dr. Zucker, speaking during National Public Health Week. Commissioner Zucker took part in a classroom "brain break" and toured the school. Learn more about Healthi Kids' recess advocacy in its 2015 research brief and parent resource. The Finger Lakes region saw an uptick in mental health emergency room visits from 2013 to 2014 and a dramatic increase in heroin overdoses, according to our 2016 Community Health Assessment. To respond to such trends, FLHSA is offering Mental Health First Aid Training to care managers in our practice transformation initiative. 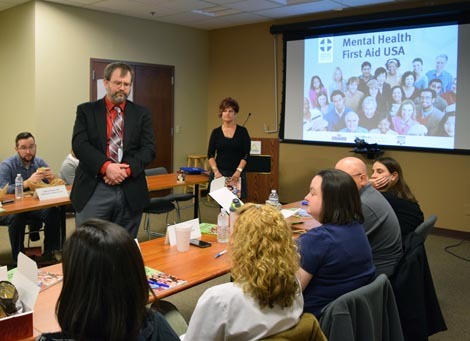 The free two-day course prepares clinicians to help individuals developing a mental illness or having a mental health crisis. Funded through the Wayne County Rural Health Network, the evidence-based certification builds on the agency's efforts to help our region integrate behavioral health into primary care. Details here. Are you at the intersection of urban planning and health? We're hiring a part-time Active Transportation Specialist. Mary A. Pittman, chief executive officer and president of the Public Health Institute in Oakland, Calif., will explore the complex causes of health disparities and discuss solutions May 6 at Rochester Institute of Technology. The talk is cosponsored by Finger Lakes Health Systems Agency and RIT College of Health Sciences and Technology. Details here. The Community Technology Assessment Advisory Board independently reviews new or expanded health care technology, services and capital spending. Its non-binding recommendations help our region avoid investments in services that are duplicative or ineffective. 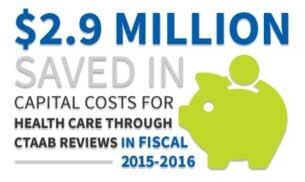 During fiscal 2015-2016, CTAAB — which FLHSA supports with administration and analysis — reviewed five projects representing more than $47 million in capital costs and $11 million in incremental annual community cost. Elizabeth McDade of the Coalition to Prevent Lead Poisoning talks about the dangers of lead paint in this late night comedy show on cable television. The Coalition receives in-kind support from FLHSA. Note: the segment includes mature language. Share this message by email. To continue receiving the e-newsletter, opt in here.